This article is featured in the edition of Modern Age (50:03, Summer 2008). MEINS G.S. COETSIER is a researcher at the Etty Hillesum Research Center at Ghent University and author of Etty Hillesum and the Flow of Presence (University of Missouri Press, 2008). The article presents an essay discussing the personal experiences and writings of the Jewish-Dutch philosopher Etty Hillesum and her beliefs regarding the existence of God. 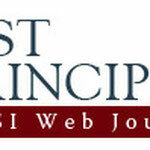 These views are explored through the philosophical analysis of experience and symbolization developed by Eric Voegelin. Hillesum's particular experiences within the Jewish Holocaust as "Heaven" and "hell" are discussed in depth. In "The Range and Originality of conservative Reflection" Prof. Dr. R.V. Young writes: Only someone with a sense of the past can possibly know what is genuinely new in the present. Of course, it is the timeless that is always new. Meins Coetsier's essay on Etty Hillesum provides a rejoinder to the virulence of contemporary atheism not by meeting its arguments in their own terms, but by opening up a realm of experience that atheists simply ignore. The letters and diaries of this Dutch Jewish mystic and victim of Auschwitz provide a window into what may reasonably be described as a hell on earth, which paradoxically made available a vision of heaven. Grounding his analysis in Eric Voegelin's concept of symbolization, Coetsier makes an indirect case for the thoroughly conservative realization that human experience, particularly as the individual's insight converges with traditional symbols that embody generations of wisdom, always takes precedence over the naked reason of the deracinated ideologue. Throughout history, the symbol “God” has been used or rather misused for human purposes and for obscure immanent and ideological projects, till the moment came that even “God” was announced “dead.” Philosopher and postmodernism’s prophet Friedrich Wilhelm Nietzsche was convinced: we killed God! The “God is dead” statement in Die fröhliche Wissenschaft, published in 1882, is the single most-quoted line expressing his concern for the development of Western society in the modern age. Modern science and the increasing secularization of the West have, according to Nietzsche, effectively “killed” the (Judeo-) Christian God. The basis for meaning and value which our civilization has known for thousands of years is now literally under threat. After the atrocities of 9/11 and in light of recent intellectual debates on religion, as in Richard Dawkins’ The God Delusion, we are not only facing global theoretical clashes between various groups concerning the God question, but will have to face up to its huge practical implications, especially implementing laws and decrees on a political level. The divide in the West between those who accept and believe in divine reality and those who do not and the schism between religious extremists using violence and the common religious citizen, is an existential, practical, and attitudinal, as well as an intellectual, problem. The debates that explore religion or spirituality, as expressed in global book sales, have grown by more than fifty percent in the past three years. According to online retailer Amazon, the “God-boom” in the new millennium surpasses the rise in sales of books in categories such as history, which have grown by thirty-eight percent, and politics, up by thirty percent, confirming that religion has become a pivotal topic in the early twenty-first century. Since our human quest for knowledge still seems to push us towards borders of transcendence, one wonders: Has “God” or the Biblical “I Am Who I Am” really been put to death in global consciousness? Or are we just sleeping? Contemporary atheists Richard Dawkins and Daniel Dennett would go further than Nietzsche (who still believed that there was a God—but He was dead) by claiming that science has proven God’s existence false. They firmly believe that science has provided other truths to take its place. The question is, can any scientific data fulfill our spiritual cravings for meaning and happiness? Do we need scientific “proof” in order to be “sure” of divine reality? From a philosophical angle, very little can be said about religion and science other than that religion, or perhaps more accurately “theology,” and science are dealing with different subject matter, and so each should respect the other’s disciplinary boundaries. Voegelin’s philosophy of experience and symbolization can help us to comprehend the core development she underwent and her personal choices more deeply. The articulated experiences of this young woman in her Letters and Diaries and her loving response to and personal rediscovery of “God” make a significant contribution to bringing order to the present confusion in society, religion, and culture. The lives of Etty Hillesum and Eric Voegelin were extraordinary adventures in reflection, courageous human and philosophical responses to a uniquely barbaric period of history. Voegelin tried to find an answer to this central German experiential problem: What went wrong that allowed Adolf Hitler to rise to power? How could we, as thinking human beings, have allowed these atrocities to take place? Hillesum, who had literally been chased by anti-Semitism and Nazism through Europe, lived the consequences. Both Voegelin and Hillesum were painfully aware of Europe’s need for radical spiritual reform. They were not interested in seeking an easy way out of their struggle, which emerged in the midst of a social collapse into lethal disorder. The meaning of Etty Hillesum’s and Voegelin’s work is best articulated by Alexander Solzhenitsyn, “We shall have to ‘rediscover our cultural treasures and values’ not by erudition, not by scientific accomplishment, but by our form of spiritual conduct, by laying aside our material well-being and, if the worse comes to the worst, our lives.” Perhaps the life, writings, and deliberate voluntary sacrifice of Etty Hillesum in staying with “her people” through the most horrific circumstances is such an example of passing through what Solzhenitsyn calls a “spiritual filter,” the only cure for society’s ills. This Jewish woman, who read so deeply the signs of her times, still has something to teach us about how to read the signs of ours, because her personal rediscovery of true interior religious experience with its “no” to violence is so timely. Hillesum’s Letters and Diaries mirror current issues of epidemic family dysfunction, sexual revolution, emotional and interpersonal distress, and of disorientation, confusion, and despair. Her writings give us a possible response to the ongoing modern, and now postmodern, crisis of values and identity in the West and elsewhere. Hillesum articulates persuasively the values of love and compassion on the basis of which it is possible for individuals, groups, and communities with different values and backgrounds, different attitudes towards religion, and a range of ethnic origins to come together in mutual respect and form a functioning, successful society and state. Etty Hillesum was born in the Netherlands in 1914 and so was caught up in the unfolding of a systematic genocide that changed her from a young Dutch woman into a Jewish target for ideological mass murder. She was imprisoned in Camp Westerbork in the Netherlands and sent from there on to death in Auschwitz at twenty-nine years of age. Hillesum lived with a pen in her hand: she wrote many diaries and letters. In her writings, she tried to find a sense of meaning and order in her life and to come to terms with decisions to be made. Ten of Hillesum’s diaries have survived. Others were lost, among them those she kept in Camp Westerbork. She also wrote numerous letters to friends and acquaintances; these describe her daily experiences, activities, hopes, and fears. Her writings, which fill almost six hundred pages of closely-printed diary entries and more than one hundred pages of letters, recount both her history and her personal reflection on her life. In them we discover a “mysticism of connectedness,” an awareness of the divine presence. Hillesum’s human and artistic attempt to find order and meaning in her daily life anticipates the words of the Russian filmmaker Andrey Tarkovsky: “When someone who doesn’t know how to swim is thrown into the water, instinct tells his body what movements will save him. The artist, too, is driven by a kind of instinct, and his work furthers man’s search for what is eternal, transcendent, divine—often in spite of the sinfulness of the poet himself.” Hillesum learned to kneel and prayed and dedicated her hand to “God” in order to write. It was this deep experience expressed in her writings that brought a significant order within herself towards God. Because Voegelin and Hillesum both made an attempt to communicate the Mystery experienced during a difficult period in history and entered the universal community of the Spirit, Voegelin’s philosophy of experience and symbolization enables us to re-enact Hillesum’s writings imaginatively, to undergo something like the breakthrough that she achieved. Her experience, I would suggest, may have the potential to speak to a greater number of people precisely because it unfolds on a basic human level. It starts as a confused and troubled young modern woman’s diary, reflecting on the turmoil and longings of her life, and then suddenly, without warning, it shifts gear. Etty Hillesum enters into a dialogue with a Presence she found in the centre of her consciousness. Where she has gone first, I suspect, many likeminded others may follow. It is surely not an exaggeration to describe Etty Hillesum’s life as living in hell. She moved from family dysfunction, through emotional, sexual, and interpersonal struggles for healing, only to be engulfed in the waves of Nazi genocide sweeping across Europe. Hillesum’s “Hell” had developed from a psychological, ethical, and spiritual distress caused by the instability of her family environment. Etty like the whole Hillesum family was chaotic; they lived a secular, disordered, and hectic life. Her struggle to overcome and heal this unbalanced life was a primary motivation in her self-exploration. As every new decree from the Nazis increased the isolation of Jews, an ideological manmade hell developed around her. Oscillating between high exaltation and the deep gloom of depression, Etty Hillesum felt the urge to do something and started a counter-attack on paper. She kept a diary in an attempt to overcome not only her depression and other psychosomatic symptoms, but also the Hell created in the atmosphere of genocide. Hillesum experienced, what Voegelin would term “deformed reality” or “deformation,” the destruction of the order of the soul, or the order of society, which should be “formed” by (i.e., should receive its vital principle from) the love of the transcendent ground inherent in the fundamental tension (tasis) of existence. 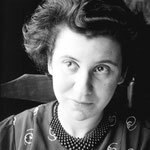 While struggling with the experience of political turmoil, fear, and the inner and outer chaos of the Second World War, Etty Hillesum fought against the “closure” of her soul (ziel) through an ongoing writing (schrijven) towards truth (aletheia). In the Diaries, she described her experiences as “Mortal fear in every fiber,” a “complete collapse,” “lack of self-confidence,” “aversion,” “panic,” “relapsing into,” what she terms, as her own “Dark Ages” (EH, 148; EHe, 141). This “spiritual constipation” (EH, 6; EHe, 6) could have ended up in a form of “closed existence.” I am using Voegelin’s term “closed existence” to refer to the mode of “chaos” in Etty’s life (leven), in which there were internal impediments to a free flow of truth into consciousness and to the pull of the transcendent. Eclipse of the light of heaven, eclipse of God—such indeed is the character of the historic hour through which the world is passing. But it is not a process which can be adequately accounted for by instancing the changes that have taken place in man’s spirit. An eclipse of the sun is something that occurs between the sun and our eyes, not in the sun itself. Nor does philosophy consider us blind to God. Philosophy holds that we lack today only the spiritual orientation which can make possible a reappearance “of God and the gods,” a new procession of sublime images. But when, as in this instance, something is taking place between heaven and earth, one misses everything when one insists on discovering within earthly thought the power that unveils the mystery. He who refuses to submit himself to the effective reality of transcendence as such—our vis-à-vis—contributes to the human responsibility for the eclipse. Like Voegelin and Buber, Etty Hillesum was moved by the confusion of the times and responded by entering into a search for order. Resisting the Zeitgeist of disorder, she looked for a way to deal with her internal chaos and to give new meaning to a life that was in danger of becoming totally meaningless. Hillesum actively tried to take the stance that one should banish “hate” (haat) from one’s heart. She believed that we cannot fight Nazi hatred by means of hate. She especially reacted strongly to hatred, radiated by people around her, against the Germans: “But indiscriminate hatred is the worst thing there is. It is a sickness of the soul. Hatred does not lie in my nature. If things were to come to such a pass that I began to hate people, then I would know that my soul was sick and I should have to look for a cure as quickly as possible” (EH, 19; EHe, 18). Voegelin, who utilized the Greek symbol nosos (nosema) as used by Aeschylus and Plato to symbolize the experience of “sickness,” “madness,” “nosemates adikas”: the “sickness of injustice” saw that the cure for such disease lies in the rediscovery of the order of the soul. In Westerbork, Hillesum faced the “sickness of injustice,” a Nazi hatred with no remorse. She needed the fullness of language to accept the void and darkness that finally awaited her: “If I were to say that I was in hell that night, what would I really be telling you? I caught myself saying it aloud in the night, aloud to myself and quite soberly, ‘So that’s what hell is like’” (EH, 689; EHe, 646). Hillesum did not know what would happen to her in the next week or even the next afternoon. Instead of pretending to know what the future held, she returned repeatedly to the source within herself of the encounter with “God.” Gradually, this encounter with the divine transvalued the inner horizon from which she interpreted and responded to what was happening to and around her. In the Letters and Diaries we can follow Hillesum refusing to allow herself to become terrified and disoriented by the fate that was rushing towards her. She was achingly conscious of what it meant to be a human person and at the same time, experiencing the polar opposite of that, a totalitarian ideology committed to extinguishing individuality. Yet Etty Hillesum adopted a stance towards this that was atypical: she made a clear-eyed decision not to respond to this totalitarian system by seeking to escape from it or to oppose or resist it by force of arms. Although not “practicing” or even “believing” in any conventionally recognizable sense, she nonetheless chose to stay with “her people,” knowing that she was going to be murdered. Hillesum maintained an equanimity, a sense of the goodness of life and being alive, and an attitude of other-centered support. She kept a solidarity that evokes wonder every time one reads her writings. Her inner peace and positive outlook, her concern for those around her, are the existence in truth, the new order in her life that radiated from the inner meetings between her soul and the presence she found there. In her experienced Hell, surprisingly enough, Etty Hillesum found her Heaven. Amidst atrocity she still discovered Beauty. Faced with a fearful, “Nazi-eclipsed,” reality, she fearlessly attuned herself to “the flow of life” (stroom van leven) and was utterly alert to mystery. Living in hope, while the world around her was breaking down, she clung to a faith in the goodness of humanity. Hillesum, not wanting to drift away, did not retreat from the emerging breakthrough in her consciousness. The differentiation, evoked through the process of writing, gave structure to her personal history and was parallel to what Voegelin described as the “philosopher,” Plato’s spiritual man (daimonios aner) or Aristotle’s mature human being. Etty Hillesum’s meditation and writing evoked a response in her to the divine appeal that made her reach out to others. This accomplishment with divine help, this gradual inward conversion or periagogé, a cognitive and moral reorientation toward the True and the Good as such, literally turned her around to a life fully committed to love for her fellow human beings. Her act of writing and her silent meditation helped her to tap into an area within herself that in society had mainly vanished. Like Plato and Aristotle she realized intuitively that there was something within her, which the Greeks called Nous or reason, that evoked in her a search for order and clarity. Hillesum received “a greater awareness” and hence easier access to her “inner sources” (innerlijke [oer-] bronnen). The often sudden and significant “bursts” of personal development seem to have taken place in her at all levels over the short period covered in her writings. In this way the writings of Etty Hillesum take their place alongside the other modern philosophies that seek the meaning of symbols in the experiences which motivated and engendered them, and which they were forged to articulate. It is indeed hard not to recognize Hillesum as a figure in her own way equivalent to those whom Voegelin calls mystic philosophers. A key difference between Hillesum and many of her contemporaries who had lived through the same terrible historical events is her personal rediscovery of an existential interior openness to the divine. In only a few years, her writings chart a remarkable transformation. Exiled by the times she lived in, she testified to an experience of a “presence,” a “Heaven in Hell,” which she discovered in the course of her search for a solid ground of existence. 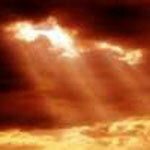 She found herself in a new relation with “God” (“You”), discovering both her own psyche and transcendent divinity. The true order of Etty Hillesum’s soul (ziel) represented what Voegelin termed the truth (aletheia) of human existence in between what Hillesum herself refers to as life (leven) and death (dood) on the border of transcendence. It was possible for Hillesum to measure both her human type of order and its social relevance. Abandoning all forms of hatred, she made it her principle that God was the measure and reference point. As she herself recognized, she was a measure of society only in so far as she was capable of love (liefde). In this way she became the representative of the divine truth that streamed into her at the meditative Center (Centrum) within her. The survival, publication, and worldwide dissemination of the Letters and Diaries have ensured that just as Socrates’ dialogues survived his execution, so too Hillesum’s experiential truth has outlasted her murder and continues to speak to us from beyond. Etty Hillesum, like Eric Voegelin, has something to offer the search for political order in our new millennium: a recovery of the lost foundations of society and the lost center of the person. Hillesum inspires us to see that glimpse of heaven in our personal experiences, enabling us to hold onto our humanity in any man-made hell and take up the long work of resistance to it, through an attunement to the “divine presence,” Your Heaven! Voegelin has critiqued such thinkers as Marx and Hegel for creating systems by which transcendent reality and human experience are ideologically deconstructed, denied, or recreated and developed into an immanent framework. Cf. Eric Voegelin, "On Hegel: A Study in Sorcery" in Studium Generale 24, pp. 335-368. See also Published Essays 1966-1985, edited with an introduction by Ellis Sandoz, pp. 213-55. Vol. 12 of The Collected Works of Eric Voegelin (Baton Rouge, LA: Louisiana State University Press, 1990); Ann T. Lawlor, Eric Voegelin's Diagnosis of the Focus on World-Immanent Reality Consequent Upon the Atrophy of Transcendent Experience among Eighteenth and Nineteenth Century Thinkers, thesis, University College Dublin, 1992. For an overview on postmodernism see After Philosophy: End or Transformation?, ed. K. Baynes, J. Bohman, and T. McCarthy (Cambridge: MIT Press, 1987); Michael Paul Gallagher, S.J., Clashing Symbols: An Introduction to Faith and Culture (London: Darton, Longman and Todd, 1997). For Nietzsche see also: No. 230, Jenseits von Gut und Böse, in Werke VII ( Leipzig: 1903); The Gay Science, translation by Walter Kaufmann ( New York: Vintage, 1974); Beyond Good and Evil, translated by Marianne Cowan (Chicago: 1955); Also sprach Zarathustra, in Werke VI (Leipzig: 1904); Thus Spoke Zarathustra, translation by Walter Kaufmann (New York: Penguin, 1978); The Will to Power, translation by Walter Kaufmann (New York: Vintage, 1967). The Gay Science, paragraphs: 108, 125, 343. Richard Dawkins, The God Delusion (London: Bantam Press, 2006). In David Smith, "Believe it or not: the sceptics beat God in bestseller battle," in The Observer, (Sunday August 12, 2007), we read that one of the most popular "religious" books in recent times, according to Amazon, is The God Delusion, an anti-faith polemic by Prof. Dr. Richard Dawkins. Second is God is Not Great: How Religion Poisons Everything, another broadside at holy citadels, by the journalist Christopher Hitchens. Following Amazon statistics, the pope, being a firm spokesperson for a theistic worldview, takes third place with his popular book Jesus of Nazareth, followed by Paulo Coelho's The Alchemist and a riposte to Dawkins entitled The Dawkins Delusion? Atheist Fundamentalism and the Denial of the Divine by Alister and Joanna McGrath. It has been reported that The God Delusion, ironically enough, has driven the growth of the category "religion." The publication of The God Delusion, in 2006, also prompted a 120 percent increase in sales of the Bible. Amy Worth, books manager at Amazon, said: "The God Delusion has been one of the bestselling books of the past year. People are interested in the debate it has sparked. There are 524 readers' comments on our site. The comments are both pro and against, and it's clear that religious people are buying it." Other books challenging religion have included Daniel Dennett's Breaking the Spell and A.C. Grayling's Against All Gods. David Smith, "Believe it or not: the sceptics beat God in bestseller battle." For theology and Etty Hillesum see the recent Ph.D. dissertation of the Canadian philosopher Alexandra Pleshoyano who defended her work on November 30, 2007 at the Radboud University in Nijmegen, the Netherlands with the title: L'amour comme "seule solution": Une herméneutique théologique au coeur du mal. She analyses the significance of Etty Hillesum for theology as well as her possible influence. For Eric Voegelin on religious experience see Glenn Hughes, The Politics of the Soul: Eric Voegelin on Religious Experience (Lanham, MD: Rowman and Littlefield, 1999) and Mystery and Myth in the Philosophy of Eric Voegelin (Columbia, MO: University of Missouri Press, 1993). William A. Barry, S.J., "Mysticism in Hell," in God's Passionate Desire and Our Response (Notre Dame, IN: Ave Maria Press, 1993), 81-89. 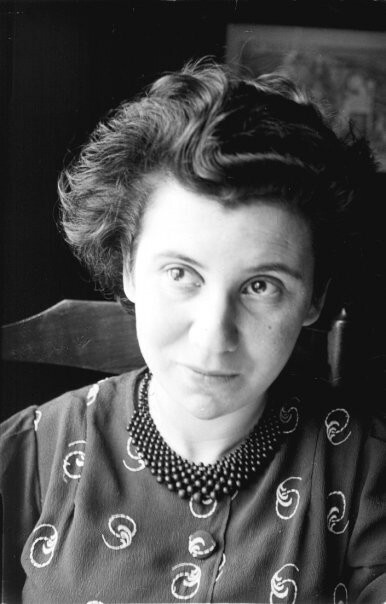 Etty: De nagelaten geschriften van Etty Hillesum 1941-1943, ed. Klaas A. D. Smelik (Amsterdam: Uitgeverij Balans, 1986) and Etty: The Letters and Diaries of Etty Hillesum 1941- 1943, ed. Klaas A. D. Smelik, trans. Arnold J. Pomerans (Ottawa, ON: Novalis Saint Paul University — William B. Eerdmans Publishing Company, 2002). Abbreviations are: "EH" and "Ehe." For faith and culture see Eric Voegelin, "The Gospel and Culture," in Jesus and Man's Hope, vol. 2, edited with an introduction by Donald G. Miller and Dikran Y. Hadidian (Pittsburgh, PA: Pittsburgh Theological Seminary Press, 1971), 59-101. See also Published Essays 1966-1985, edited with an introduction by Ellis Sandoz, Vol. 12 of The Collected Works of Eric Voegelin (Baton Rouge, LA: Louisiana State University Press, 1990), 172-212. Available from the University of Missouri Press. Cf. Eric Voegelin, Hitler and the Germans, Vol. 31 of The Collected Works of Eric Voegelin, trans. and ed. Brendan Purcell and Detlev Clemens (Columbia, MO: University of Missouri Press, 1999), 51-69. Alexander Solzhenitsyn, "The Smatterers," in From Under the Rubble (Fontana Collins: 1976), 272-73. D. Pollefeyt, "The Trauma of the Holocaust as a Central Challenge of Levinas' Ethical and Theological Thought", in Marcia L. Littell, E. Geldbach & G.J. Colijn (red. ), The Holocaust: Remembering for the Future II on CD-ROM. Erinnerung an die Zukunft: Vom Vorurteil zur Vernichtung? Analysen und Strategien gegen Totalitarismus, Antisemitismus, Fremdenangst und Ausländerfeindlichkeit (Papers presented at the International Annual Scholars' Conference held in Berlin, 13-17 May, 1994), Stamford (Connecticut), Vista InterMedia Corporation, 1996. See Ria van den Brandt & Klaas A.D. Smelik (red. ), Etty Hillesum in facetten (Budel: Damon, 2003); Ria van den Brandt, Denken met Etty Hillesum (Zoetermeer: Meinema, 2006); Klaas A.D. Smelik, "Het godsbeeld bij Etty Hillesum," Rondom het Woord 26 (1984), nr. 2, 82-88; idem, "Geen heilige maar een begenadigd schrijfster," Werkschrift 14 (1994), nr. 1, 26-32.; idem, "Volledig leven tot de laatste ademtocht: Etty Hillesum, heilige of martelares?," VolZin 3 (2004), nr. 2, 28-32. Andrey Tarkovsky, Sculpting in Time: Reflections on the Cinema (The Great Russian Filmmaker Discusses His Art), translated from the Russian by Kitty Huntler-Blair. (Austin, TX: University of Texas Press, 1986), 239. Jos Snijders, Ik heb zo lief: De menselijke en gelovige groei van Etty Hillesum (Den Bosch, KBS & Averbode, Altiora, 1993). See also Alphonsus de Liguori, How to Converse Continually and Familiarly with God, translated by L. X. Aubin, C.SS.R. (Boston: St Paul Editions, 1981). Denise de Costa, Anne Frank & Etty Hillesum: Spiritualiteit, Schrijverschap, Seksualiteit (Amsterdam: Balans, 1996); English edition: Anne Frank and Etty Hillesum: Inscribing Spirituality and Sexuality (New Brunswick, NJ: Rutgers University Press, 1998). Eric Voegelin, "The Eclipse of Reality," in The Collected Works of Eric Voegelin, Vol. 28, "What is History?" and Other Late Unpublished Writings, ed. Thomas A. Hollweck and Paul Caringella (Columbia, MO: University of Missouri Press, 1999), 111. See also Martin Buber, Gottesfinsternis: Betrachtungen zur Beziehung zwischen Religion und Philosophie (Zürich: Manesse Verlag, 1953). For Equivalence see Eric Voegelin, "Equivalences of Experience and Symbolisation in History," in Eternità e Storia: I valori permanenti nel divenire storico, edited with an introduction by Luigi Pareyson (Florence: Vallecchi., 1970), 215-34. Reprinted in Philosophical Studies (National University Ireland) 28 (1981): 88-103. See also Published Essays 1966-1985, edited with an introduction by Ellis Sandoz, Vol. 12 of The Collected Works of Eric Voegelin (Baton Rouge, LA: Louisiana State University Press, 1990), 115-33. Available from Columbia, MO: University of Missouri Press, 1999. Martin Buber, Eclipse of God: Studies in the Relation Between Religion and Philosophy (New York: Humanity Books, 1988). Plato, Complete Works, edited, with Introduction and Notes, by John M. Cooper, Associate Editor D.S. Hutchinson (Indianapolis/Cambridge: Hackett Publishing Company, 1997); Platon, Gorgias in Oeuvres, Littérature grecque ancienne – "Les Grecs" Introduction, traduction, commentaire (Athènes: Kaktos, 1992). David J. Walsh, After Ideology: Recovering the Spiritual Foundations of Freedom (Washington, D.C.: The Catholic University of America Press, 1990). For Walsh, see also The Growth of the Liberal Soul (Columbia, MO: University of Missouri Press, 1997). Hannah Arendt, The Origins of Totalitarianism (New York: Hartcourt Brace Jovanovich, 1968). J. L. Ackrill, A New Aristotle Reader (Oxford: Clarendon Press, 1987); Eric Voegelin, Plato and Aristotle in Vol. 3 of Order and History, ed. Dante Germino, Vol. 16 of The Collected Works of Eric Voegelin (Columbia, MO: University of Missouri Press, 2000). Emmanuel Levinas, Totalité et infini: Essai sur l'extériorité, (The Hague, Nijhoff, 1968). In English: Totality and Infinity, translation by A. Lingis (Pittsburgh: Duquesne University Press, 1969). Eric Voegelin, "Reason: The Classic Experience," Southern Review, N.S. 10, no 2 (1974): 237-64. In Anamnesis, translated and edited by Gerhart Niemeyer, (Notre Dame, IN and London: University of Notre Dame Press, 1978), 89-115. See also Published Essays 1966- 1985, edited with an introduction by Ellis Sandoz, Vol. 12 of The Collected Works of Eric Voegelin (Baton Rouge, LA: Louisiana State University Press, 1990), 265-91. Available from University of Missouri Press. Eric Voegelin, The Drama of Humanity, three speeches: "Man in the Cosmos"; "The Revolt of Man"; "The Epiphany of Man." Atlanta, Georgia: Walter Turner Candler Lectures, Emory University (April 1967), 17-20. See also The Drama of Humanity and other Miscellaneous Papers 1939- 1985, edited with an introduction by William Petropulos and Gilbert Weiss, Vol. 33 of The Collected Works of Eric Voegelin (Columbia, MO: University of Missouri Press, 2004). See also Brendan Purcell, The Drama of Humanity: Towards a Philosophy of Humanity in History (Frankfurt am- Main: Peter Lang, 1996).